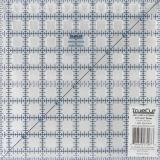 TrueCut Ruler - GRACE COMPANY-TrueCut: Ruler with Ruler Track. 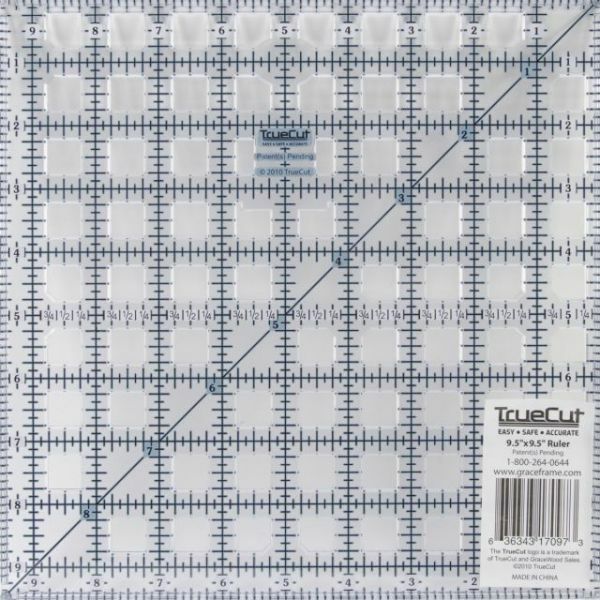 The innovative Ruler Track and Cutter Guide system incorporated into the StraightCut rulers and rotary cutters makes all of your cuts straight and precise every time. The special guide on the cutters fits perfectly into the track on the edge of the rulers and prevents the cutter from slipping off course. The ruler measures 9-1/2x9-1/2 inches and includes 1/8-inch increments and a 45-degree angle line. This package contains one ruler. Imported.